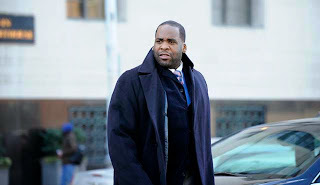 Back in March, former larger than life Detroit Mayor Kwame Kilpatrick was convicted of multiple federal criminal charges of racketeering, conspiracy, extortion, bribery, and mail fraud. These all grew from him and his father demanding kickbacks from city contractors or other individuals seeking to do business with the city. Many of these kickbacks went to the mayor's good friend, construction mogul Bobby Ferguson, who was also found guilty of multiple charges. Basically if you wanted to play, you had to pay. Well today was sentencing. Mr. Kilpatrick was sentenced to 28 years in federal prison. As he is 43 years old, this is close to if not akin to a life sentence. By way of comparison other noted white collar criminals received both higher and lower sentences. Bernie Madoff got 150 years in prison. Former Qwest CEO Joseph Nacchio received six years in prison for insider trading, a sentence he believed was brought about from his refusal, absent a court order, to cooperate with the NSA surveillance programs. Former Illinois Governor Rod Blagojevich received a 14 year prison sentence for soliciting bribes for political appointments. People's sentences for various white collar corruptions range all over the place. It all depends on various factors, including your criminal history, how much you stole, whether or not you had the public trust and so on. Kilpatrick not only could have been a great mayor, he indeed had the energy and charisma to become a Michigan Senator or perhaps even Governor. Detroit — Kwame Kilpatrick has been sentenced to serve 28 years in prison for crimes of racketeering and conspiracy committed during his six years as the mayor of Detroit. That sentence was just handed down in U.S. federal court by Judge Nancy Edmunds. Edmunds said she was required to issue a sentence that is “sufficient but not greater than necessary” for a criminal enterprise that ran from Kilpatrick’s time in the state House to the mayor’s office. She described the former mayor as a larger-than-life character who helped himself to a jet-setting lifestyle. A significant sentence, she said, sends the message that corruption won’t be tolerated. ■His resignation from office: "I didn't realize then that I beat down the spirit and energy and vibrance of what was going on in the city." Kilpatrick made things worse for Detroit, there is no doubt about that. At the same time we live in a system where fathers who have assaulted their own daughters have received a fraction of that sentence and where people who have put people in the ground have received less time for their actions. Of course as they say if you can't do the time, don't do the crime. The world is not a fair place anyway. If you weren't doing wrong in the first place you wouldn't be personally concerned about equity in sentencing. And every case is indeed different. But I can't help but think that 28 years is a little over the top. I was thinking more like 15-20. This brings an end to the sordid Kilpatrick saga, although there are still co-conspirators awaiting sentence, most infamously Bobby Ferguson. And maybe it's just me and my damnable pride but if I humbled myself and told the judge how sorry I was for everything and how I had learned from my mistakes and she STILL gave me 28 years I'd want to say a few more honest and much nastier things before I was hauled away for good. My basic verdict on Kilpatrick is that he wasted his talent and hurt the city. Ho-hum? Who cares? Good riddance? Fair sentence?